Hams embrace the UHF series connectors like no one else, including for its use on test equipment where its performance is lacking. This is the likely reason why it is so hard to find low VSWR 50Ω terminations with UHF series plug. It is rare to find something with VSWR quoted in specifications, and nigh on impossible to find one at a reasonably low price. 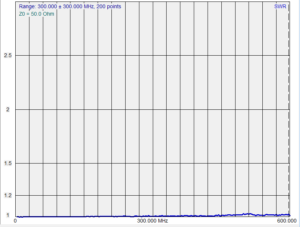 On the other hand, SMA terminations start at about $2 each (posted), and it is not too hard to find ones specified with VSWR<1.2 to several GHz. Above is a low cost, low quality solution. It is a SMA termination selected from a bunch using a high accuracy DMM (selected, R is 49.86Ω) and a SMA(F)-UHF(M) adapter, total cost $7 (posted) (but you might be advised to buy 5 loads to select the best one). Despite the specification, they are probably only good to 100MHz, and can be unreliable. 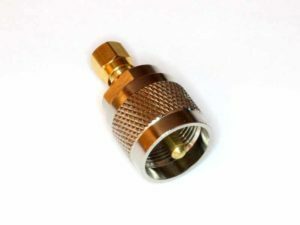 A better solution is to buy an SMA Male 50 Ohm RF Termination (Amphenol partno 132360 50R) and use that higher quality termination. 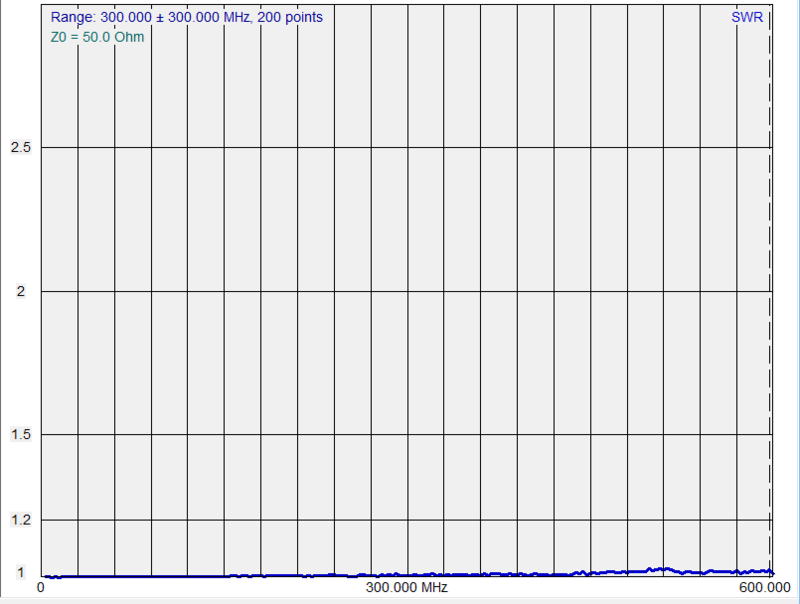 I cannot readily measure the combination VSWR performance, but the same load on an SMA(F)-N(M) adapter has VSWR<1.1 to 600MHz (above). 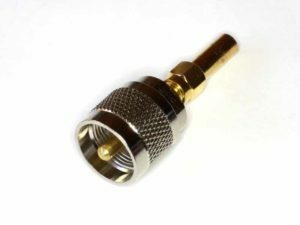 The weak link with UHF series is the UHF series (which does not attempt to maintain a constant Zo through the connector), and the SMA(F)-UHF (M) will probably be a little poorer than that… but you are kidding yourself if you think you can use UHF series connectors for lab accuracy above perhaps 100MHz (providing they are clean, good, and tight). 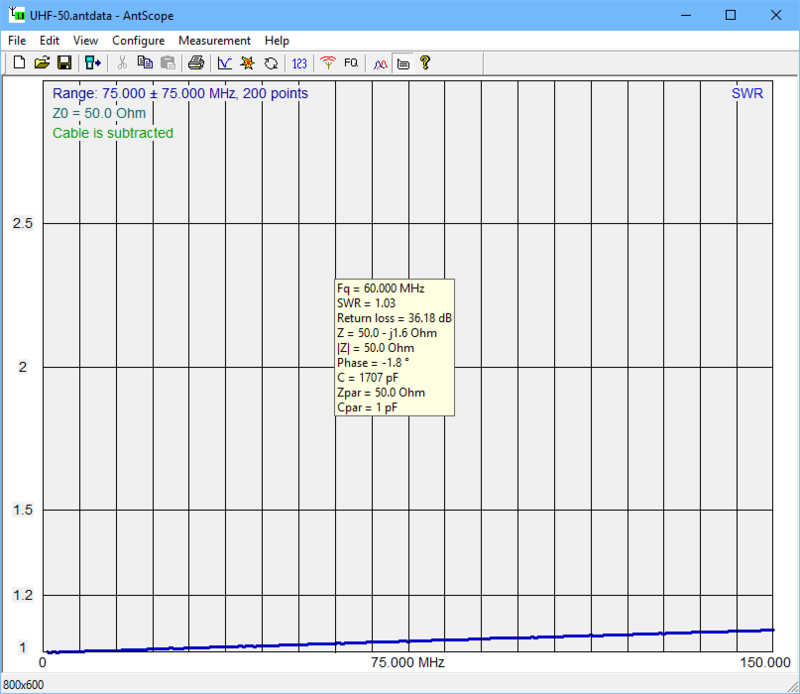 Above is a SWR plot of the UHF(M)+SMA 50Ω load measured through a N(M)-UHF(F) adapter with cable backout to adjust out most of the imperfaction of that adapter. 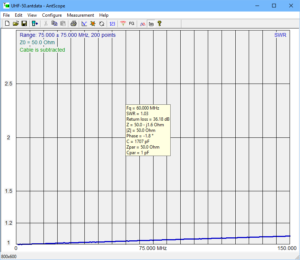 The VSWR is quite good to 60MHz, and at a pinch could be used to 150MHz. If you cannot afford to buy a commercial low VSWR 50Ω termination to check / calibrate your analyser, this may provide an adequate solution.